Have you thought about borrowing short-term emergency cash to relieve some of your debt? Here’s your guide to car title loans. Learn if they’re for you. When an emergency comes knocking, are you ready for it? The average American savings account has only $4,830, but 55 million Americans say they have nothing saved at all. At the same time, Americans also have a staggering amount of debt. Consumer debt will reach $4 trillion by the end of 2018 – up 22 percent from 2010. Lenders see these statistics as an opportunity, and they offer loans that reflect the dire state of some citizen’s finances. Car title loans are one of these products. A car title loan offers you a short-term cash solution in exchange for your car title. 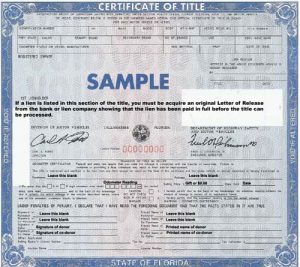 How do title loans work, and is it right for your finances? Keep reading for our complete guide to car title loans. A car title loan is a short-term loan offered in exchange for the title of your vehicle and a fee. Your title serves as collateral for the loan. If you don’t pay it back, then the lender has your title and can take your vehicle. To get a title loan, you visit a lender online or in an office. In some cases, you may need to hand over a spare set of keys. They may also make you buy a roadside service plan before approval. A lender considers all four items when deciding on your loan. If declined, you get your title back. 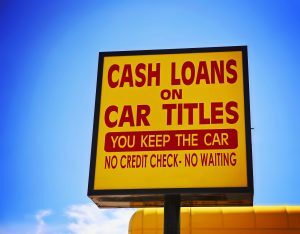 When lenders approve the loan, they keep the car title (and the spare set of keys if requested) and hands over the money. The first payment date usually falls thirty days from the time you received the loan. In most cases, the lender expects repayment in full in addition to a monthly fee. What Does the Loan Look Like? These loans are almost always small, but the fees associated with them can send the real cost of borrowing sky-high. Let’s say you want to borrow $500 for a thirty-day term. Your lender wants a monthly fee of thirty percent. When you loan becomes due, you owe the original $500 plus an additional $150 for the fee. Borrowing $500 just cost you $650. Lenders are also known for charging an annual percentage rate (APR). Your lender will share the APR before you accept the loan. In most cases, lenders set the APR according to how much you borrowed, the loan term, and the loan fee. The APR is what hurts customers who misuse short-term loans like title loans. Non-traditional lenders tend to charge APRs in the hundreds. If you borrowed the same $500, and the lender assessed a 300 percent APR, then you owe not only $500 but $1,111 in interest over the course of a year. 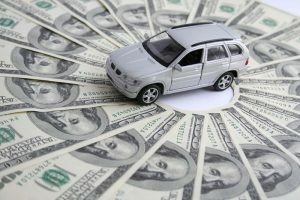 Do Car Title Loans Affect Your Credit Score? Car title loans do impact your credit score, particularly if you don’t pay it back. Using your car or another vehicle as collateral doesn’t mean that failing to pay back doesn’t damage your credit. Before the lender collects your car, it will likely report the debt you owe as delinquent. Delinquent debts run down your credit score. Think of it this way. Failing to pay your mortgage isn’t “as bad” just because the bank can take back your house. Not paying back debts hurts your credit regardless of what kind of security the lender took. That is why is important to make sure you get the right type of mortgage or other loan. Car title loans, like many short-term loans, come with risks. The most significant risks are the high fees and interest rates common across the industry. Borrowing money may help settle another need, but it can leave you far deeper in debt that you were before. Because of this, twenty-five states outlawed title loans completely. Lenders prefer to collect their money when it’s due, but they also offer to roll over your loan if after thirty days you cannot pay it back. They then assess another monthly fee to recover their losses, which adds to the amount you ower. If you also pay a high APR, you could see your debt grow. When you owe more than you can afford, it becomes even harder to pay back the full amount. Lenders who hold your car title can take your car if you can’t repay the loan and fees. The loss of your vehicle is the most profound risk you take with this kind of borrowing. You might then be low on money and no longer have a means of reliable transportation. 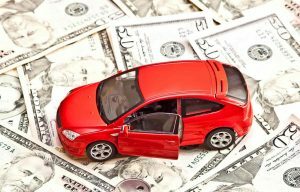 The risk of losing your car is why so many advocates, including the Federal Trade Commission (FTC), say that you should only borrow what you can confidently repay within the agreed term. While these loans are a quick way to get cash, they also quickly snowball out of control. When Is a Car Title Loan a Good Idea? It’s rare that care title loans are a “good” idea because they come with so many fees and risks. There are always other options to consider if you’re willing to risk losing your car. The only time you should turn to a title loan is if you are 100 percent confident that you will pack it back before the term ends or if you have no other options. Before trying a title loan, try one of these alternatives. Title loan lenders are a last resort for those who need cash fast but who can’t get it elsewhere. But you might be surprised at how many options are available to you. Here are some things to consider before turning to a title loan. Do you need the cash to pay rent or an urgent bill? Negotiate with your landlord or the company you owe before looking for a loan. Neither your landlord nor your billers are your enemy. They want to see their money sooner rather than later, but if later isn’t far in the future, they’re often willing to wait. They know that if you look for solutions like a title loan, then you put yourself at substantial financial risk. You might scrape by to pay the bill this month, but it could be a disaster next month if something goes wrong. If your need is such a short-term issue that a thirty-day title loan works, ask the people you owe for an extension or a payment plan so you can get caught up without getting in debt. Are you struggling to work with billers? Consider contacting a credit counselor for help. Credit counselors aren’t just for bankruptcy cases. They can help you make sense of your finances to help you better afford your bills. Or you might be considering bankruptcy from a different country such as Canada. Be careful as the laws are different in each country. If you can, use any of these first. If you’re willing to put your car on the line and you cannot guarantee you’ll pay the loan back, consider selling the car for cash right off the bat. You can use the proceeds to pay for whatever you need, and put the rest away to buy a new vehicle when you recover the cash. If you use a title loan, the ideal scenario sees you paying off the loan within the specified time frame. Some lenders might even insist you wait because they want to collect interest and more fees, but you should insist on paying it. You already know what happens if you can’t pay the loan, but let’s talk about what to do if you don’t come up with the money. In some cases, it’s better to replace your title loan with a different traditional loan. Look for a fixed-rate loan from a bank, online lender, or a credit card, to cover the costs right away. If necessary, ask someone to co-sign the loan. Fixed-rate loans are still expensive but feature lower APRs and don’t risk your car title. If no other source of cash is available, negotiate with the lender. Lenders like Todays Financial Services prefer to get some than none of the loan. Ask to lower the interest rate or payment to agree on a settlement and lower the cost of your debt. Settling still hurts your credit score, but it’s better than insolvency and the loss of your car. Car title loans offer cash fast, but they’re high-risk debt that quickly snowballs out of control and risks the loss of your only means of transportation. If you consider a title loan, only borrow what you can comfortably repay and never borrow more than your next paycheck. More importantly, make sure you’ve done everything you can to lower your bills or get funding elsewhere before turning to these lenders. Have you tried a title loan? Did it work out? Click here for more resources about getting out of debt and learn about our recommended tools.